Important special announcement regarding XTRM Single Sign-On. Beginning January 3, 2018 the single sign-on process when logging in to XTRM will be enhanced to further improve security. 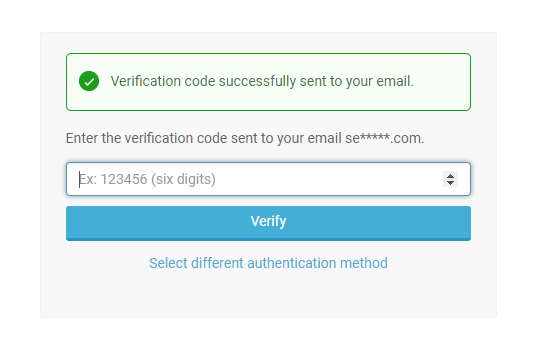 The process will now include a verification prompt for a one-time password when XTRM is being accessed from a new device or from your website or portal. The one-time password will be sent via text message or email associated with the account and is not a replacement for an existing password. 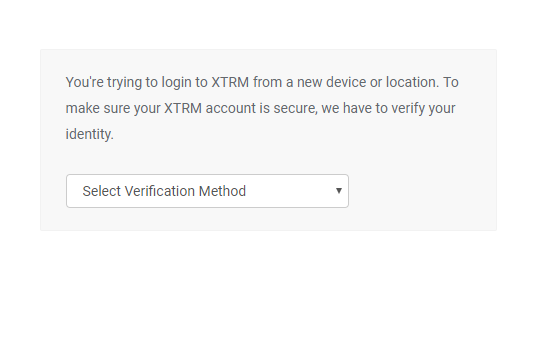 The following screen will be displayed to your customers and partners the first time XTRM is accessed from a new device.